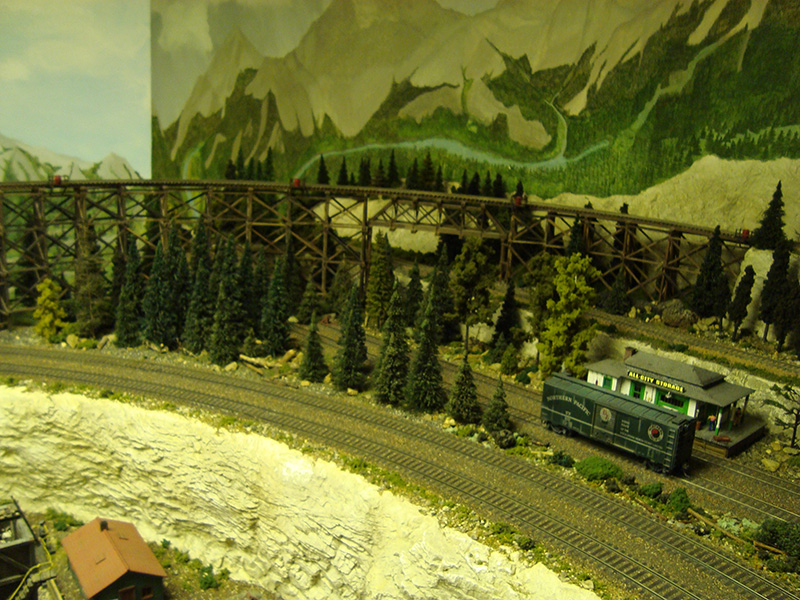 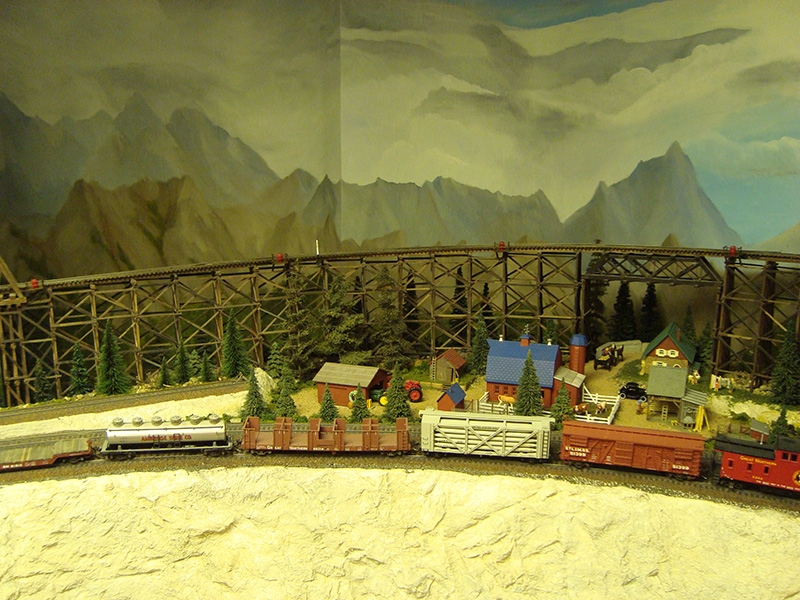 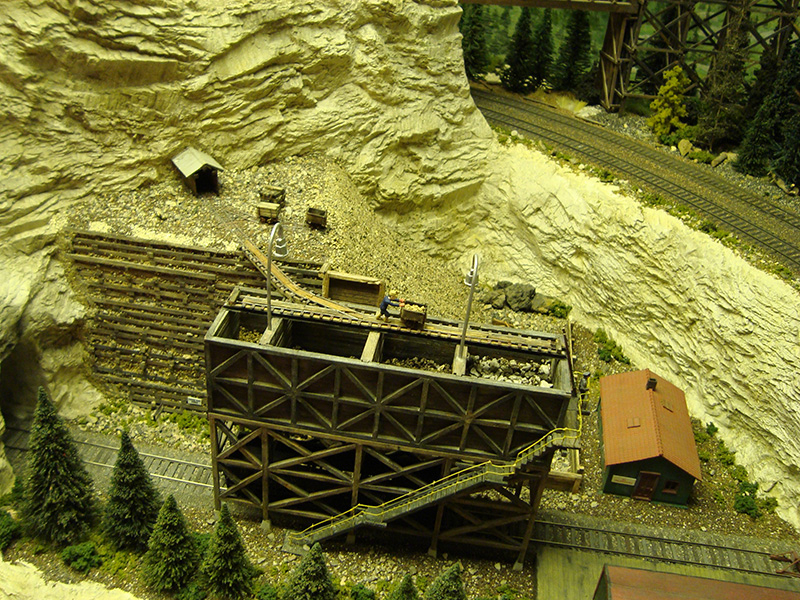 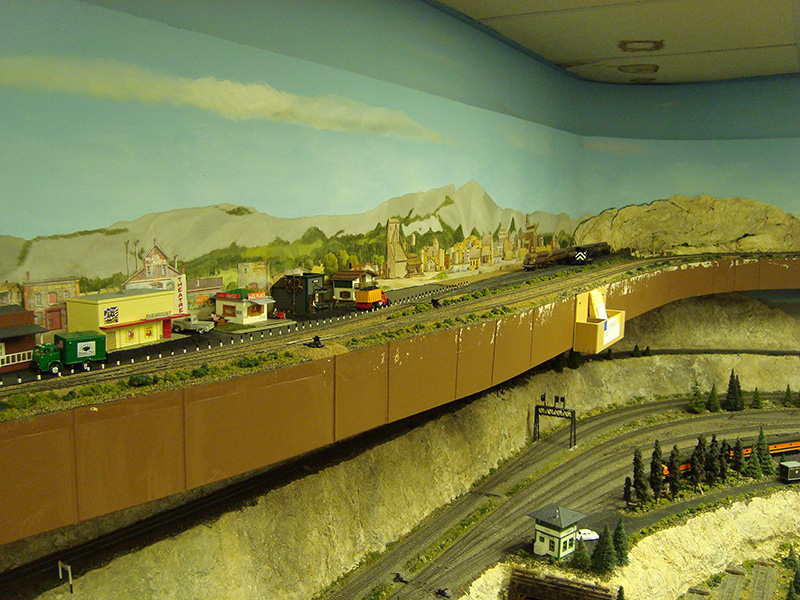 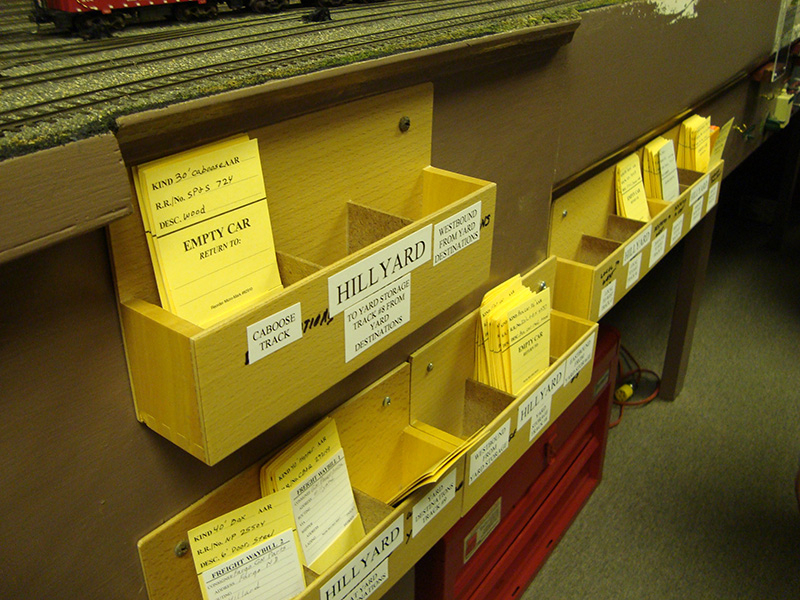 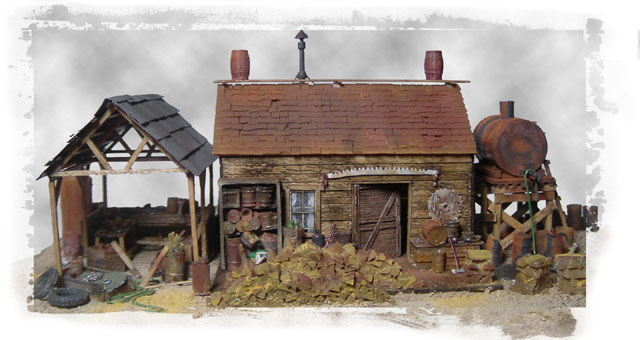 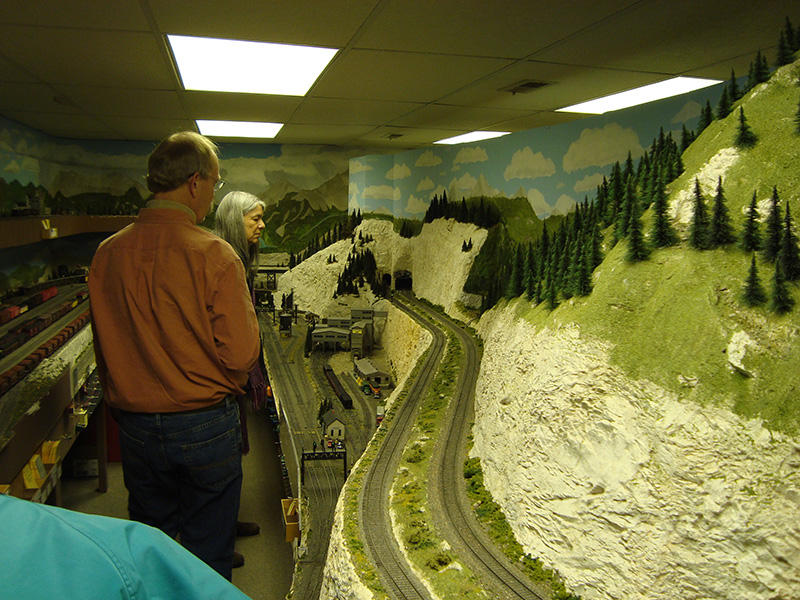 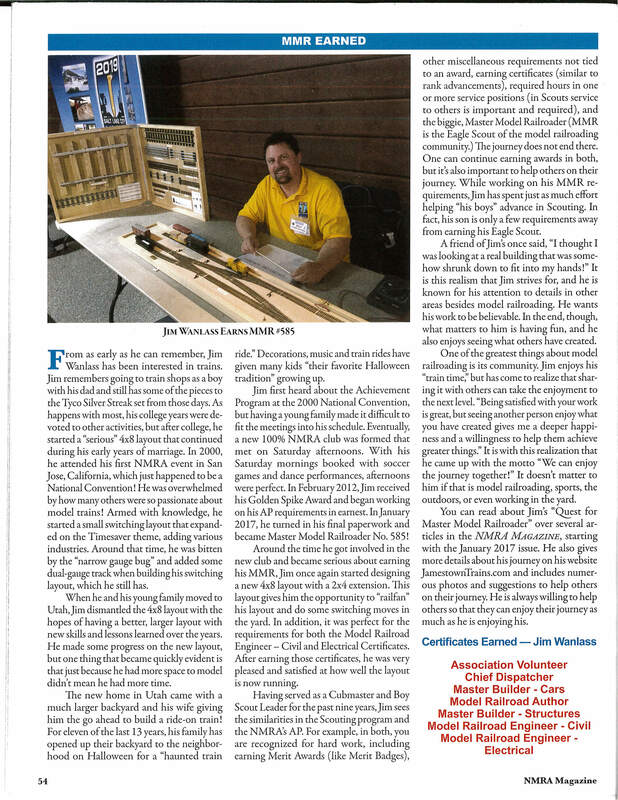 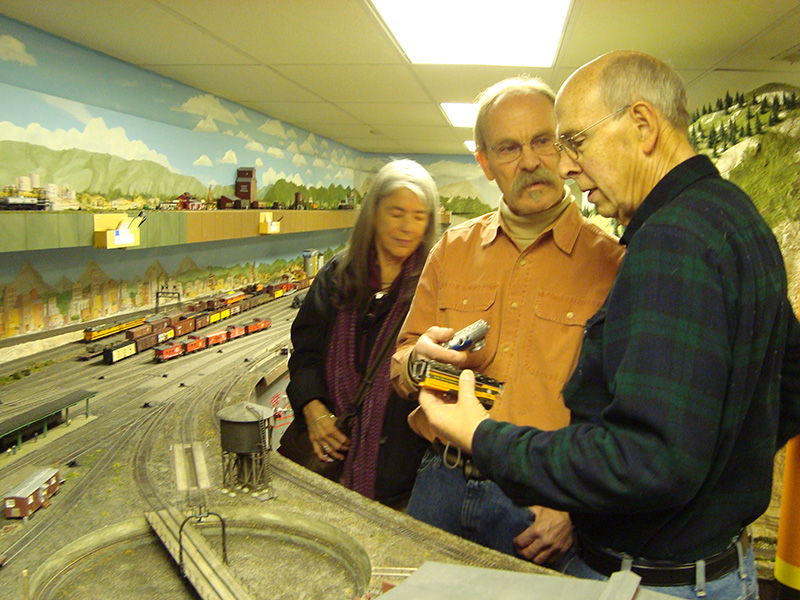 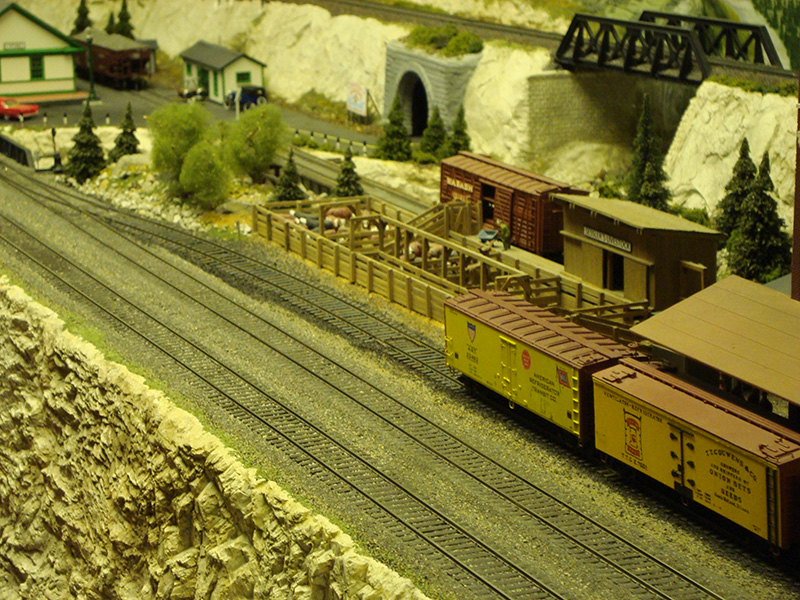 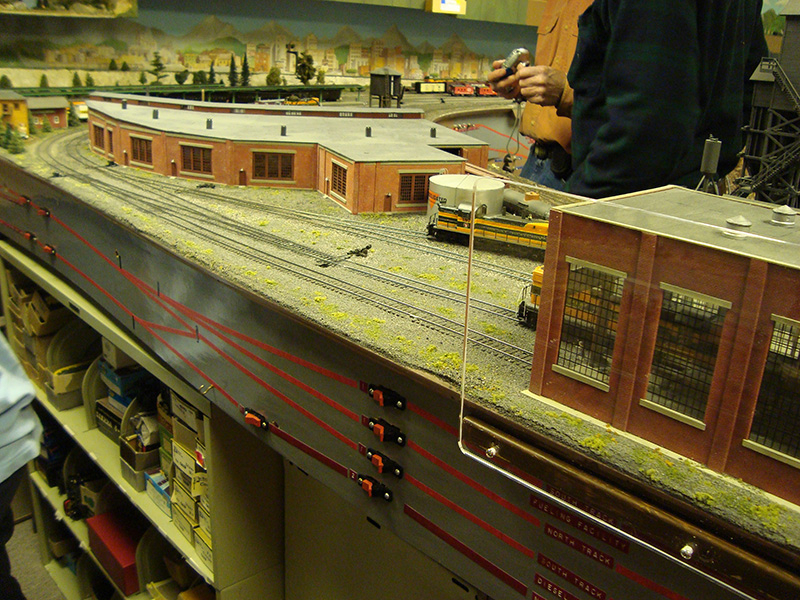 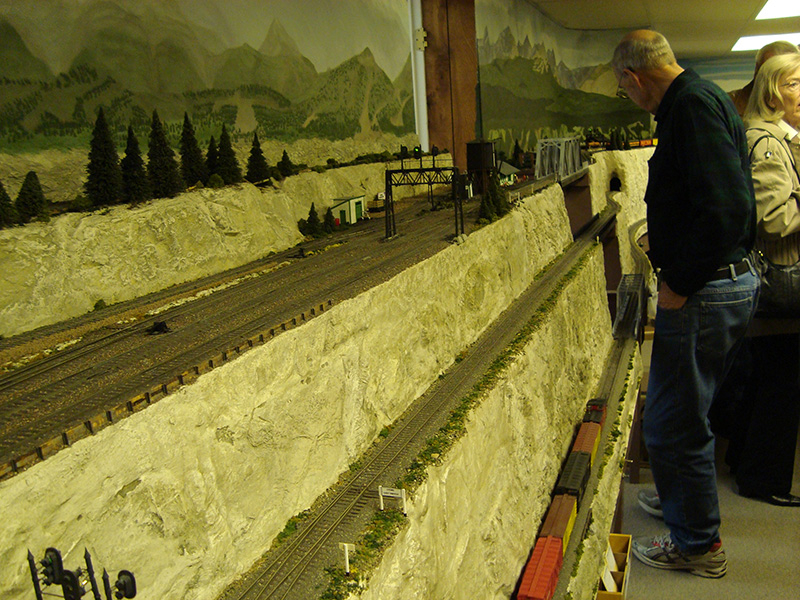 John’s intricate HO layout represents the steam—diesel transition through the 1950’s in a mountain railroad theme. 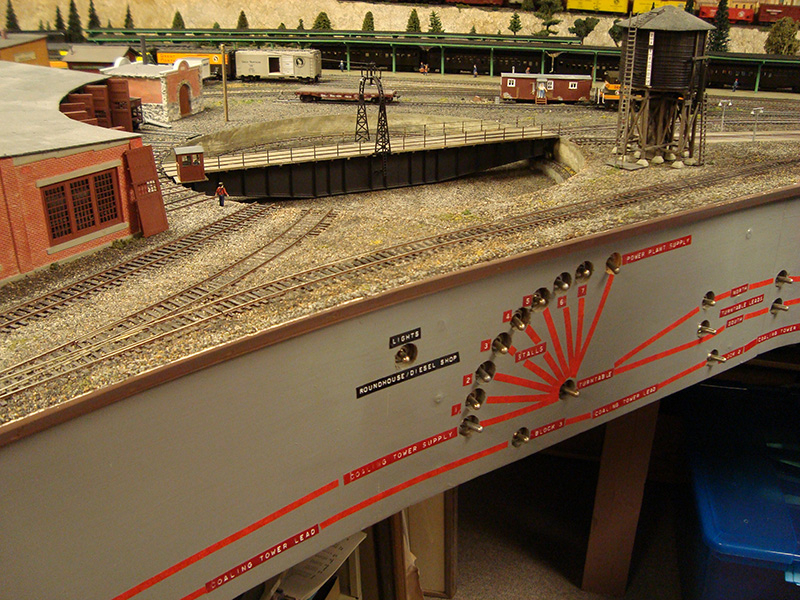 Key features of this 14’ x 33’ layout include the loop to loop with bypass for continuous running. 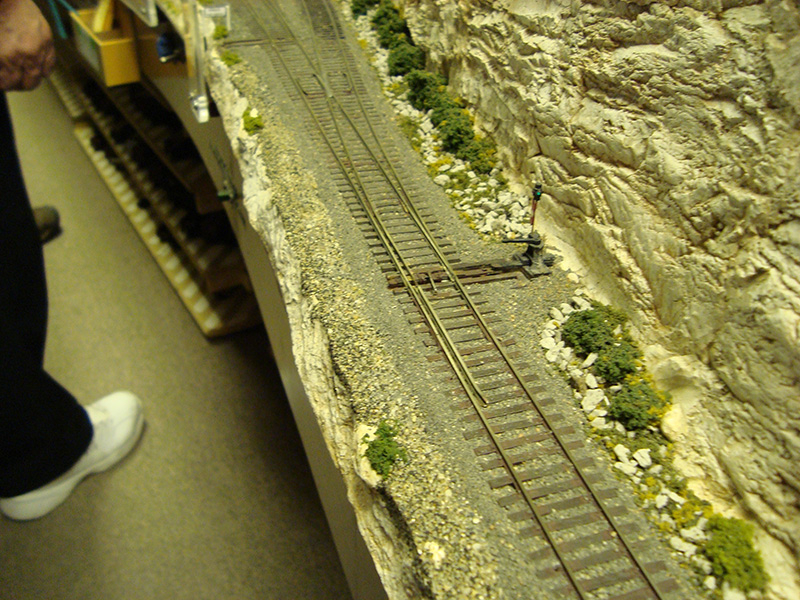 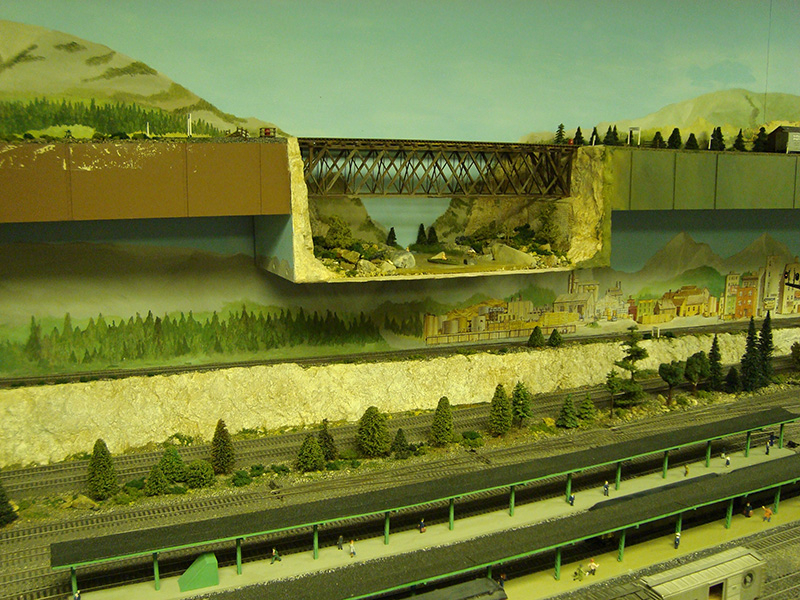 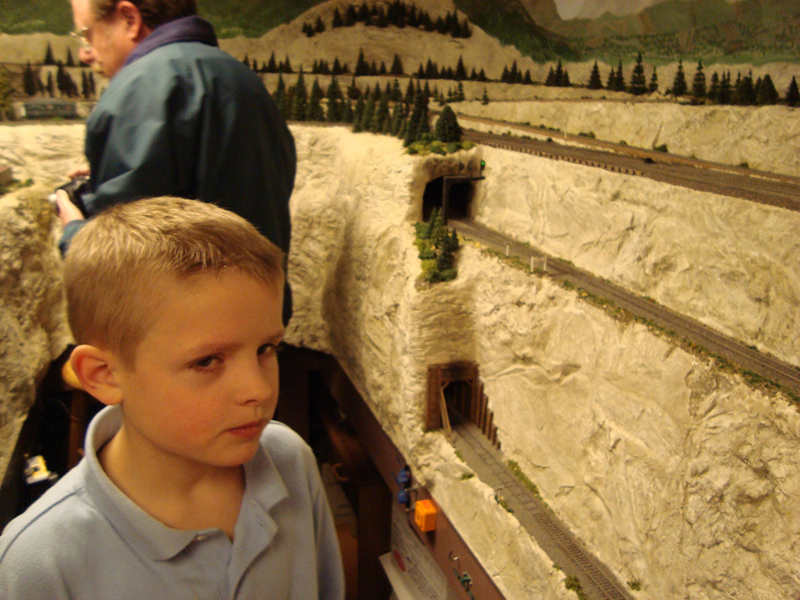 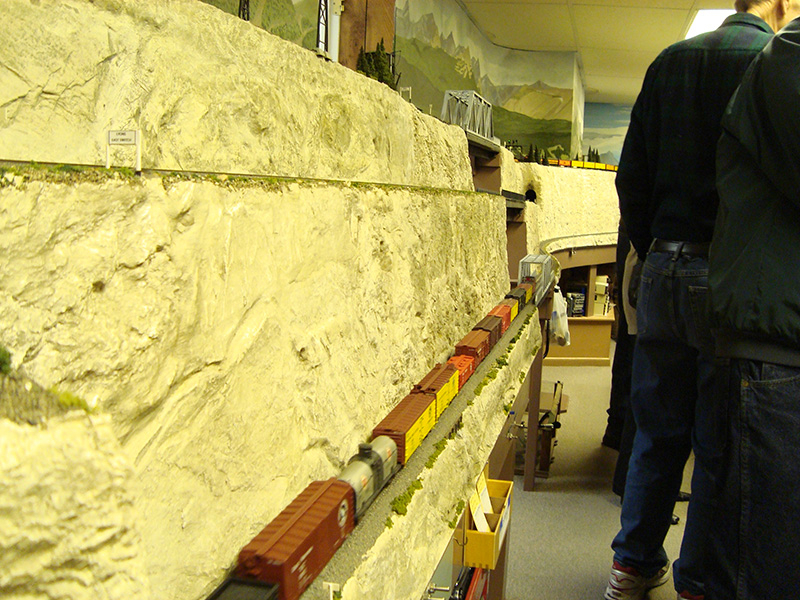 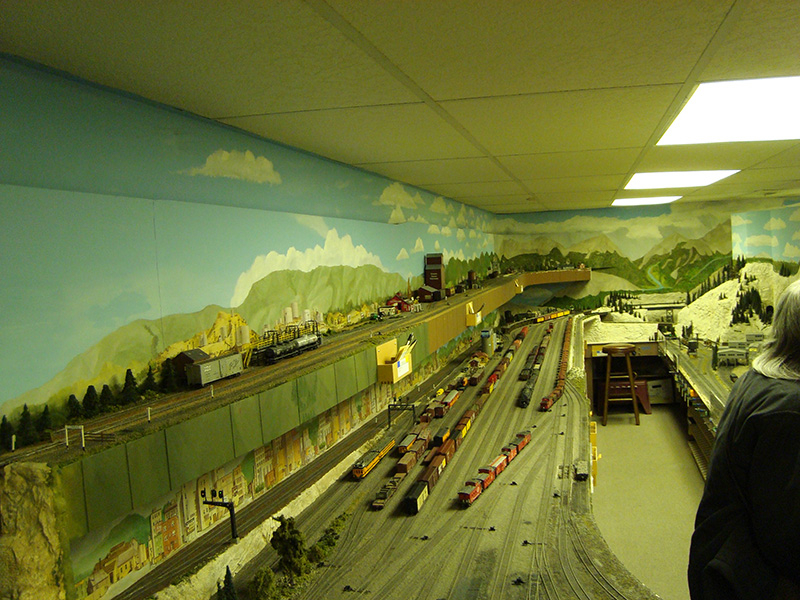 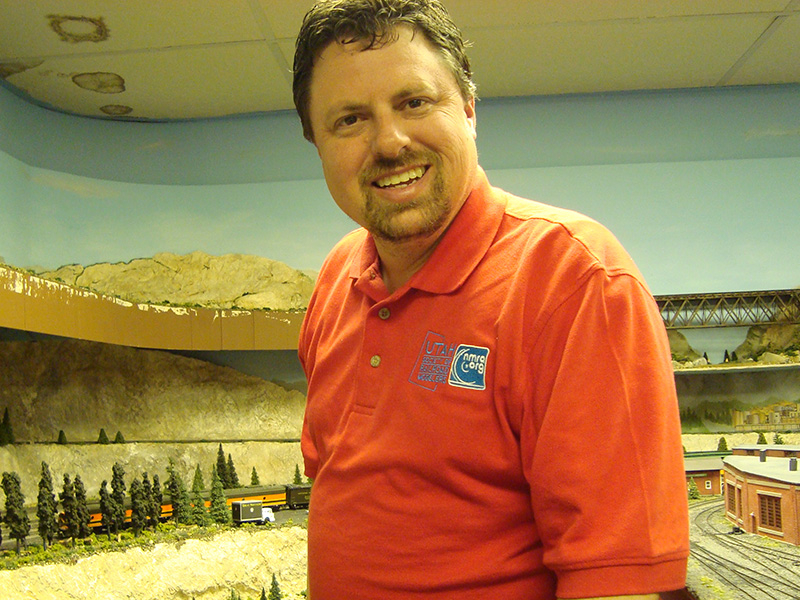 Mountains, bridges, trestles and two branch lines are highlights of John’s layout. 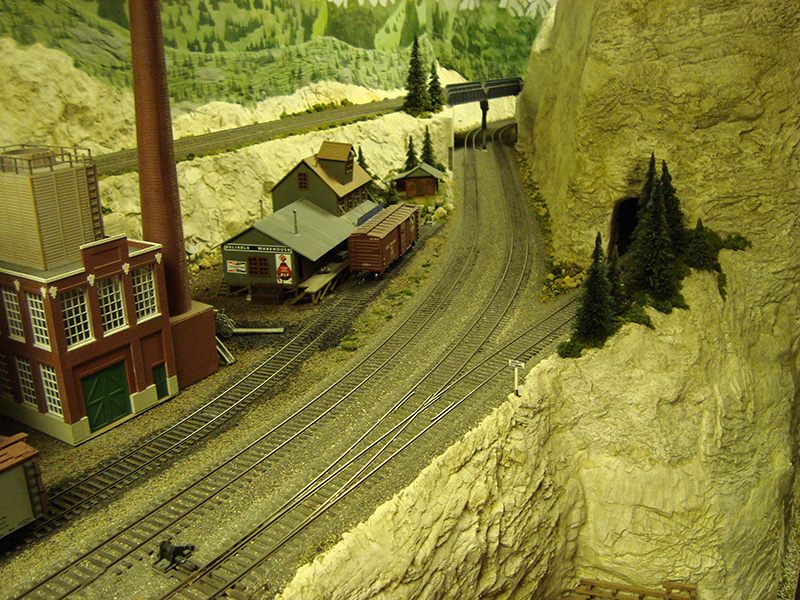 Click on large picture to advance slideshow manually. 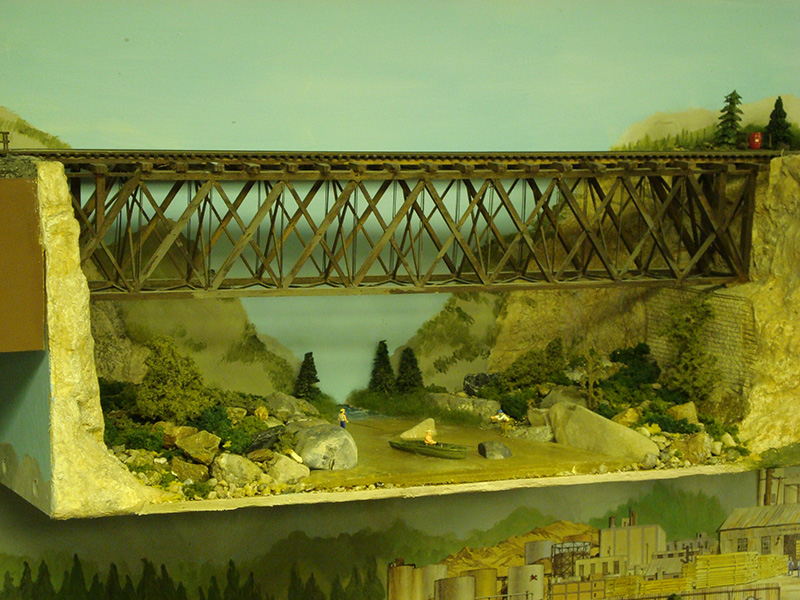 Click on thumbnail below to open that particular image larger.